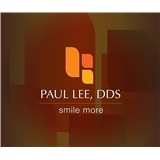 Paul Lee Family & Cosmetic Dentistry (Houston) - Book Appointment Online! At the dental office of Dr. Paul Lee, it is our goal to provide dental services in a manner which not only creates new friendships, but also erases the anxiety commonly associated with dental care. Patients can expect a warm, relaxing environment that utilizes the latest dental technology to guarantee comfort and confidence. Our experienced staff work as a team so you receive outstanding treatment from the time that you arrive for your initial visit. Our focus on patient-centered care allows you to be active in the creation of your dental health road map. Patients can look forward to a friendly environment where they can experience safety and satisfaction. Your smile is the most distinctive feature of your face. Our array of dental services caters to your unique oral health needs to ensure a healthy and beautiful outcome.